Fall is boots season no doubt as the weather starts to cool off (some areas more dramatically than others) and so for me my “boot arsenal” is on full display once autumn hits ladies! Good afternoon ladies! I am sitting outside enjoying this incredible weather here in North Carolina right now as it’s a unseasonably cool 79 degrees outside right now. Incredible as it’s somewhat overcast and the humidity is extremely low today. My plan is to spend nearly my entire day outside because this type of weather in July is truly rare & a gift that I can’t pass up on. Back to shoes, how about a massive sale from Nordstrom to start your weekend off right! Right now Nordstrom is having their Anniversary sale where you can save BIG on brands like Vince Camuto, Jessica Simpson, Franco Sarto, Stuart Weitzman, Sam Edelman and so many more. The sale runs through August 3rd so hurry before they are sold out or the sale ends. Simple-chic! 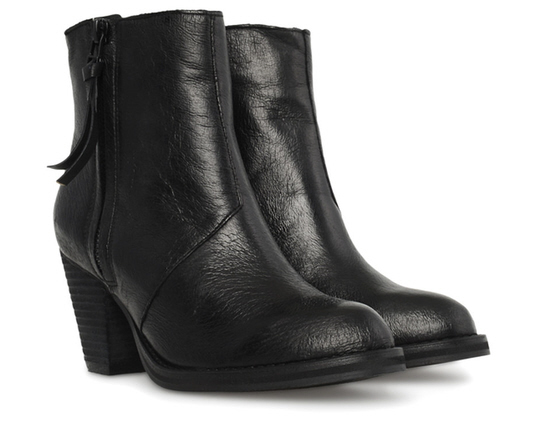 Acne Pistol ankle boots are the it boots among many celebs and fashionistas. Their classic yet versatile style mix so easily with just about anything in your wardrobe – all year round! I’d love this denim blue suede to enjoy for this spring & summer as well. There are many Acne-inspired versions, but I think these Steve Madden Partenon boots are among the top picks. Wear them with shorts and maxis for an effortlessly chic style this spring. Also available here.